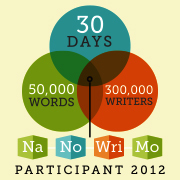 I’ve avoided Nanowrimo for years. I did try once, a long time ago, when it was a much smaller event with just a few thousand people. But I didn’t even sign up or try to connect with anyone. I just decided I would do my best to try to write fifty thousand words in a month. I knew before I started that it would be a failure. And it was. I stopped after the first week. So now I’m attempting it again! Well, for one thing, I’m a different writer now. I actually have finished projects. Not just one, but several. I know my writing strengths and weaknesses better. Back then I was a seat of the pants, had no idea of my plot or characters, or even when I would sit down to write, kind of person. Now, I know exactly how many words I can pound out in an hour, when I know my scene. I’ve learned all about Goal, Motivation, Conflict and I’m deep in the middle of scene and structure immersion. All these things make my writing process smoother. So I should do better, right? Write! But why should every writer try this? Why do I believe it will make a difference? Did you hear the no editing? This is what all my author friends sound like when they have a book to turn in and the deadline is approaching. For authors with a contract and a book to write to that contract. 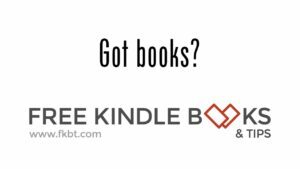 Every book is a Nanowrimo book! They’re up at all hours, deep in the pressure cooker, trying to get those words on the page. They have to stick to their outline. Why? Because if they don’t they don’t have time to go back and fix it! They can’t listen to their inner editors (sorry Gloria, Gracie is in trouble when the contract arrives) because if they do they will not finish, let alone on time. When you are unpublished, or like me, an author with books to write without a contractual timeline, then you can waste time on other things and no one gets upset. (Well maybe you do.) You can take the time to go to coffee with a friend and say, oh those words can wait until tomorrow, because there is no one else telling you they must be done by Tuesday, or else! Nanowrimo becomes the evil editor. The one who makes you turn your book in on time. She makes you think about your story line ahead of time, because if you don’t, you run the risk of not being able to write 1,666 words per day for 30 days. And she’s the one you blame when you turn your best friend down for coffee. Or don’t clean the kitchen. Or send out for take out again and again and again. It’s all the fault of your editor, the person who needs this book by Novemeber 30th or the sky will certainly collapse. Once again, why should you all practice this? Because fake it until you make it is how we get to be better authors. Practicing being an author with a deadline helps you finish books. Then you have to start submitting them. Which we all know is the harder part of the equation and may be why that book doesn’t get finished in the first place. Face your fear and attempt Nano! I am. They pull and push. They yammer and yowl. Where did they come from? I don’t have an editor, agent or anyone demanding my work be finished on time. Where could these crazy demanding deadlines come from? They came from me. When I decided to act like I was published my world changed. I became a person with a schedule and I set up goals for myself and along with those goals came the deadlines, wounded crafts in need of attention, tied to my hardworking goals tugboating along. Being the messed up over-achiever that I am, I set up many goals, big goals, demanding goals. So their deadlines were many and big and demanding. Deadlines are necessary for anyone to achieve at a rapid pace. There is no way I would be here. When I look back six months ago I had no website, no blog, no business cards. 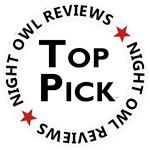 No business calling myself an anything, let alone an author. But now I have multiple works in progress, several are “finished”, and I am getting my name out there. People know me. People I have never met and may never meet know me as an author. And I have the deadlines to thank. If you set goals without deadlines your odds of achieving them shrivel to nothing. There is no reason to complete anything without those whiny children tugging at you, reminding you, needing you. You float out there in the someday realm, waiting for something to happen. Deadlines keep us on track, keep us focused. And when you hit them, you get the added bonus of not only moving further down your chosen path, but you also get the glow of success. You achieved a deadline. You are great! You are fantastic! You are the bomb!